List Price $11.05* each *Please note pricing is USA only. The American Defender No. 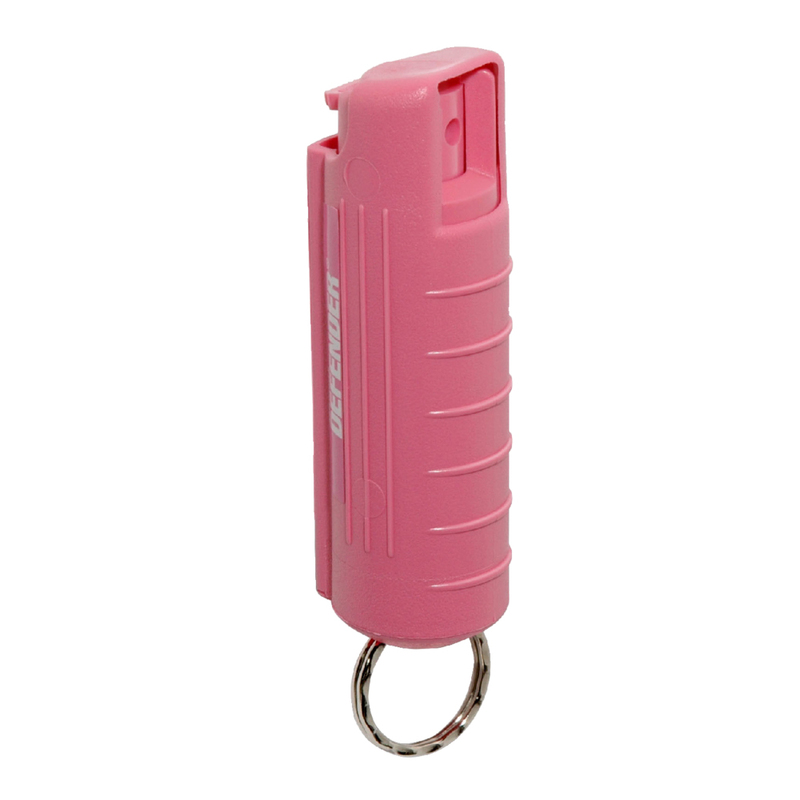 AD101D Red Pepper Spray canister includes a protective molded cover with key ring; allowing for safe storage with car or house keys. The pepper spray offers immediate impact, blinding attackers temporarily; causes coughing, gagging, and tearing. The easy to use point and press button offers immediate impact. The Limited Lifetime Warranty provides peace of mind from a brand you can trust. Q: What is pepper spray? Pepper spray is an organic inflammatory agent that produces an incapacitating effect without relying on pain inducement. It causes temporary blindness, tearing of the eyes, coughing, gagging, and possible vomiting. In addition, pepper spray also cause shortness of breath, confusion and disorientation. These effects last approximately 10 to 15 minutes providing the victim enough time to get away and get help! Q: Is it legal to carry pepper spray? It is legal to carry pepper spray in all 50 states. There are specific state laws and regulations regarding the purchase, possession, and use of pepper spray. Please check with your local law enforcement for current regulations. How do you use pepper spray? Q: How do you use pepper spray? American Defender’s upright design enables you to directly fire the unit. Point the nozzle at the attacker’s face and press the actuator button. A heavy burst of powerful protection will spray from the range of 8-12 feet. Effects are immediate and include: temporary blindness, tearing of the eyes, coughing, gagging, possible vomiting, shortness of breath, confusion and disorientation. These effects last approximately 10 to 15 minutes providing the victim enough time to get away and get help!